Please be aware that the School Day Release programme will be recommencing week commencing 1st April 2019. The programme will run as normal, with the U14/U15/U16 age groups on a Tuesday and the U12/U13 groups on a Thursday. As part of our agreement with schools and the EFL, we are required to track and monitor academic progress of all players attending on Day Release. 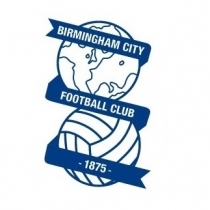 Therefore, can we ask that, if not already supplied, you ensure a copy of the latest school report is sent to Mark Sinclair (mark.sinclair@bcfc.com) prior to the 1st April so that we are all able to meet our commitments to stakeholders and players. Unfortunately, due to our agreements with schools and compliance with the EFL, no player will be allowed to attend Day Release until the school report has been received.